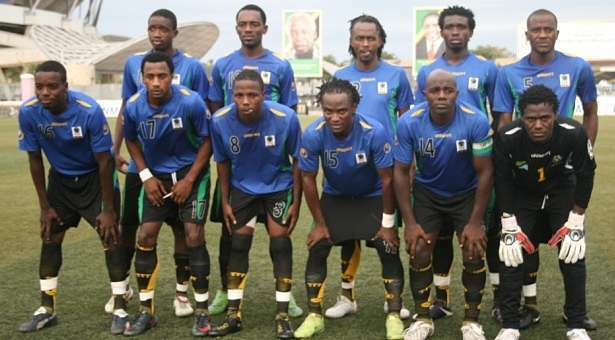 Tanzania head coach, Charles Mkwasa says he’s confident his team will defeat the star-studded Super Eagles in a dead rubber 2017 Africa Cup of Nations qualifier at the Akwa Ibom International Stadium in Uyo on Saturday. Mkwasa’s team drew 0-0 against Nigeria when both side met last year in Dar es Salam in group C that has been won by the Pharaohs of Egypt for the bi-annual tournament. The Taifa Stars have arrived in Lagos and will travel to Uyo on Thursday to intensify their tactics ahead of Saturday’s match against the Super Eagles. However, Mkwasa revealed that the need to improve on their FIFA rankings would propel his team to beat the Super Eagles in Uyo. “Both Tanzania and Nigeria are out of the qualification brackets but we want to win this game. Every coach sets out to win every game and we want to win because it will definitely improve our Fifa ranking,” said Mkwasa in an interview with supersport.com.